Thank you for purchasing my product! 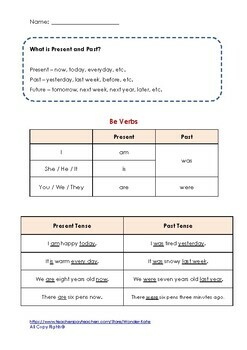 I hope this helps you a lot. 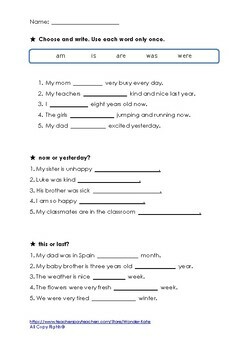 This worksheet is especially useful for EFL and/or ESL students. 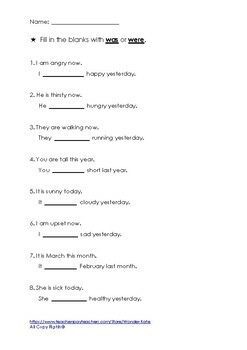 It includes statements, questions and answers of past tense of be verbs. 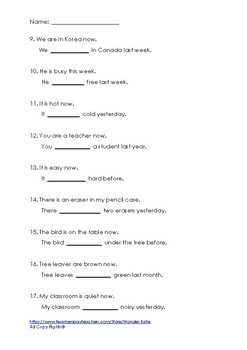 It also provides answer key.